Marshalls University College has earned a place in the quarterfinals of the 2019 Universities, Polytechnics and Colleges (UPAC) Basketball Championship after placing first in Zone 3. The recent zonal games were played at the Regent University College of Science and Technology on Saturday, March 16. 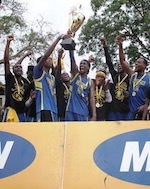 Marshalls beat Host Regent 34-28 in the opening game and proceeded to clinch a 30-22 win over KAAF University College. The win over KAAF was enough to get Marshalls through to the national competition due to KAAF's 24-29 loss in overtime to Regent. 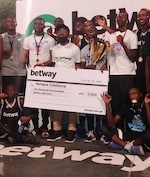 The results represent a great return to Ghana's biggest tertiary basketball competition this year after exiting early in 2018. Despite placing second in 2017, Marshalls failed to make the quarterfinals after a shock loss to Ghana Technology University College. In both games, Marshalls had to come from behind to clinch wins as they got off to poor starts and trailed 4-12 to Regent at the end of the first quarter in the opening game. However, the experience of Marshalls came to the fore in the second half with strong performances from veteran trio Emmanuel Sarkor, Anthony Adade and David Laryea. Marshalls University joins Koforidua Technical University and Takoradi Technical University in the quarterfinals. Five more zones are to be cleared at this stage before the knockout rounds take place from April 11-13.